And at Sport Clips, we get it. We offer a fun, exciting and unique barbershop-style experience designed to be ''my kind of place'' for men and boys. At Sport Clips East Peoria - River Front our goal is to make each Client feel like a champion! 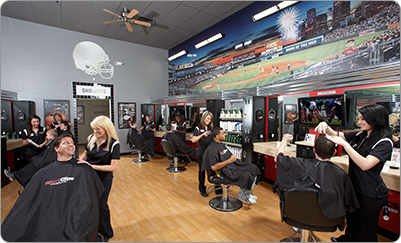 With over 1000 locations, Sport Clips is conveniently located in your neighborhood to serve you. And, no appointment is necessary. Stop in today and discover what the buzz is all about! Our Stylists are consistently trained to cut the latest men's hairstyles and will work to get your hair just the way you want it, with or without chit chat, all the while in comfortable, relaxed guy's barbershop environment.